The German Bobsleigh and Sled Sports Federation (BSD) athletes had a score to settle at the Olympic Games in Pyeongchang, last month. Four years ago, the bob athletes came away without a medal. But, at the three world championships that followed, Germany returned to winning ways and appears to be ready for the Olympics. So, what’s changed? The team formed a technology partnership with automotive innovator BMW, to help develop equipment and find small improvements that could give them the edge. A whole host of expertise was incorporated into the sleds that improves aerodynamics, ergonomics and structural analysis to squeeze out every last bit of performance. BMW not only offers its expertise on areas such as carbon fibre technology, but also its testing facilities that include its aerodynamic test centre. BMW has ties to several other sporting activities, outside of motorsport, that includes the America’s Cup. 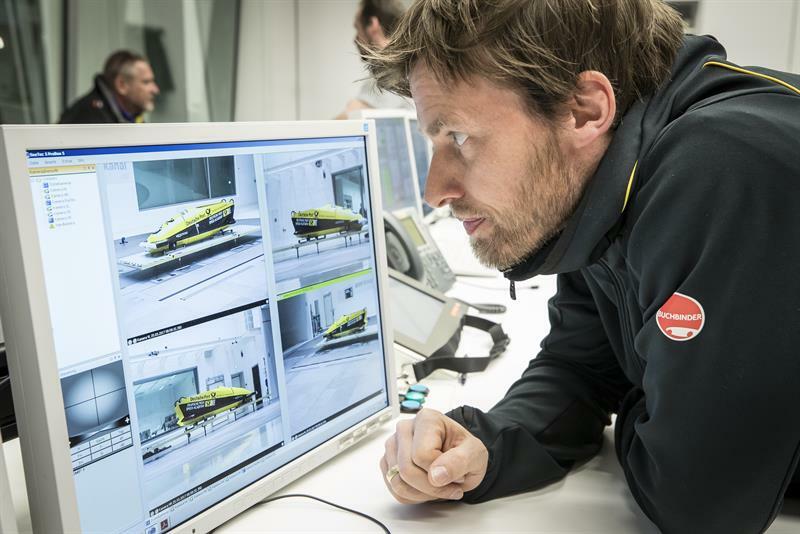 Thomas Hahn, who is head of the BMW technology transfer, has spent years working on the construction of the high-tech racing yachts for two-time America’s Cup winner ORACLE Team USA and knows the challenges. He is using his specialist knowledge to support bobsleigh builder Johannes Wallner, who manufactures the two-man and four-man bobs for the reigning world champion bob teams Lochner and Friedrich. The positions of the three pushers require different qualities. For example, two requires more power, four requires more speed and a higher step frequency. In the four-man sled of Francesco Friedrich, this position is held by former decathlete Thorsten Margis, who is an imposing 1.92m tall. He needed more space to position himself as flat as possible in the bobsleigh to reduce air resistance. The seating positions of the athletes has a huge influence on the aerodynamics, but the regulations allow only a restricted amount of optimisation. The sophisticated infrastructure of the BMW Group’s Research and Innovation Centre (FIZ) in Munich contains one of the largest and most innovative wind tunnels in the world. It facilitates wind speeds of up to 300kph and, thanks to enormous computing capacity, various aerodynamic models can be calculated within a very short time. A final test before the Olympic Games showed a reduction in air resistance of up to 6%. In theory, this should make the sleds a tenth of a second faster per run. However, compared with the test laboratory, factors such as weather and track conditions, as well as the sliding line, are significant in the ice channel. And the potential is by no means exhausted. In the BMW Group’s energy test centre (EVZ), three thermal wind tunnels and two air-conditioned chamber test beds simulate snow, rain, cold, heat and even altitude. The same facilities that make the BMW vehicles more efficient in a variety of climatic conditions provide winter sports athletes, and their sporting equipment, with controlled test conditions like those in the ice channel. 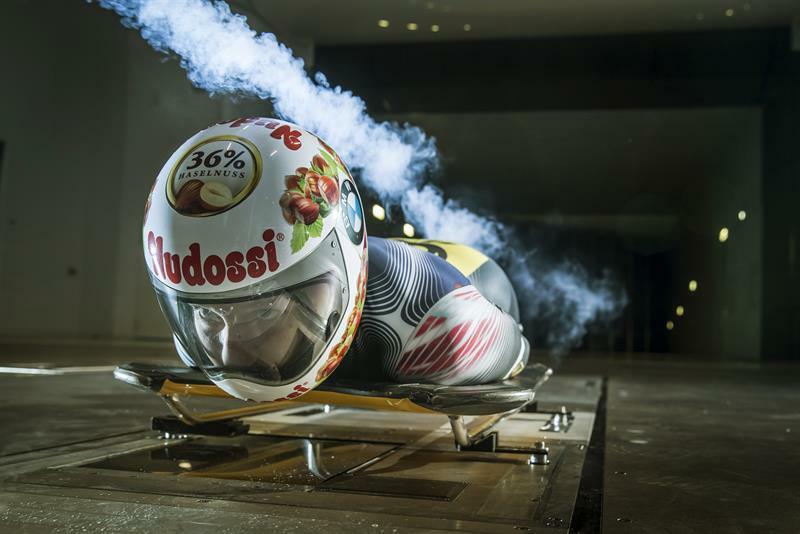 The BMW wind tunnel is also providing skeleton athletes with valuable feedback on the material and riding position to find that critical, and illusive, hundredth of a second that can make all the difference come competition time. When the skeleton athletes dive head first into the ice channel, it makes not only for a spectacular photo, but also a challenging aerodynamic position to evaluate. World champion Jacqueline Lölling, 2015 and 2016 overall world cup winner Tina Hermann and the German national skeleton coach Jens Müller used the aerodynamic test centre to help develop their sporting equipment and optimise their riding position. Lölling says: “We test changes to the material and want to optimise the riding position as well. It is important to get feedback on what we can work on and what can give us an extra hundredth of a second or more.